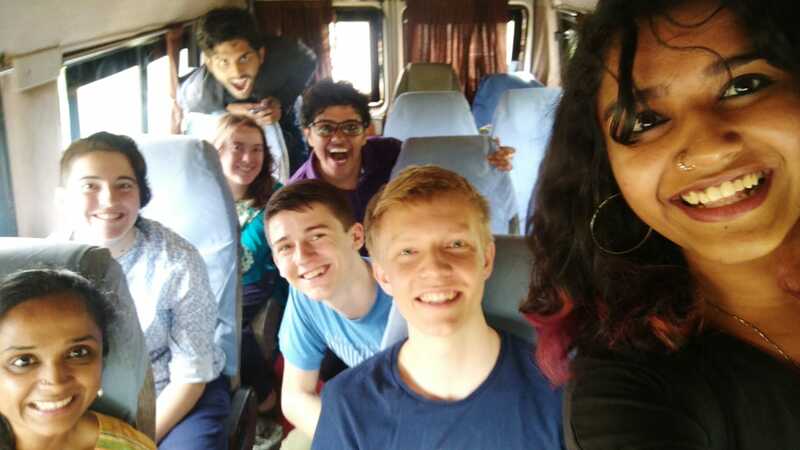 The highlight of this trip has been the Indian students who’ve been with us since the beginning. From showing us cool places to hang out, helping us cross the street, acting as translators, or acting as the DJ on long drives, being able to see Bangalore through their eyes, and not just through the lens of our projects, has made the journey that much more enjoyable. For example, today the morning was spent on project work. My group spoke with the community about rain water harvesting, costs, and borewell challenges. In the evening a group of us walked around the city before dinner where we ate pani puri, a fried street snack, at rapid-fire pace, then went to an ice cream shop where instead of the ice cream being scooped, it came in rolls and was coined weird names like Junk in the Trunk. 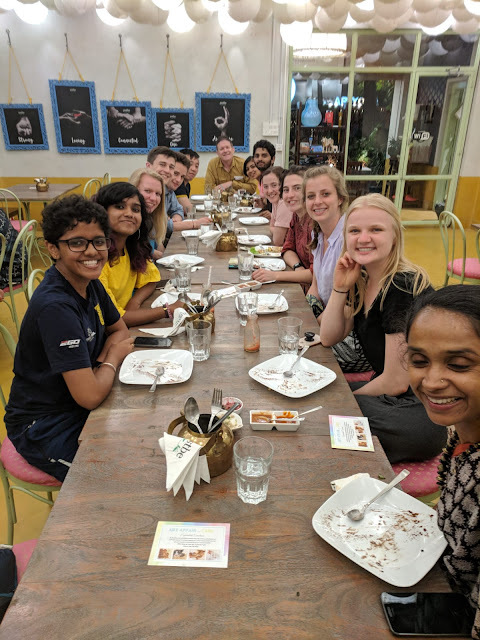 The differences between the classwork we do in the morning and the exploring we get to do in the evening have allowed for us to see two different sides of Bangalore; one from an academic, project perspective, and the other from the lives of the young people who call this city home. These difference have also allowed for me to see how much Bangalore has grown as I talk to homeowners, parents, college students, and strangers. I am understanding what Somini Sengupta said in "The End of Karma," when she discussed the noondays children, as I watch groups of people discuss politics, gender, sexuality, and education to push for their country to deliver on its promises while also enjoying the beauty of Bangalore and finding their place in it.